Nearly a month after they announced their separation, Jennifer Lopez and Marc Anthony seemed to have put their differences aside for a sun-filled visit together. 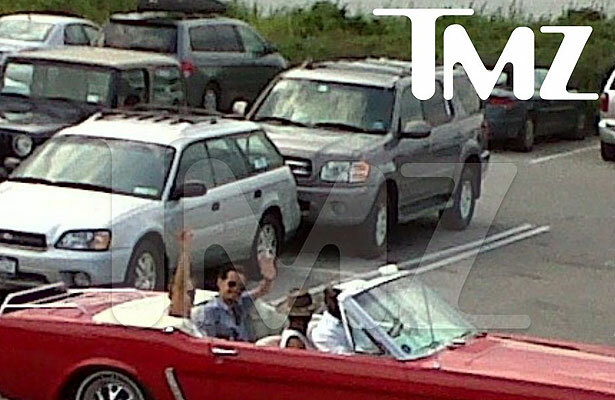 The two were spotted riding in the back of a red Mustang convertible Wednesday, TMZ reports, near Sagg Main Beach in Southampton. Anthony's rep told TMZ the singer was on the East Coast visiting his children.